My app didn't update automatically to the latest version. What now? 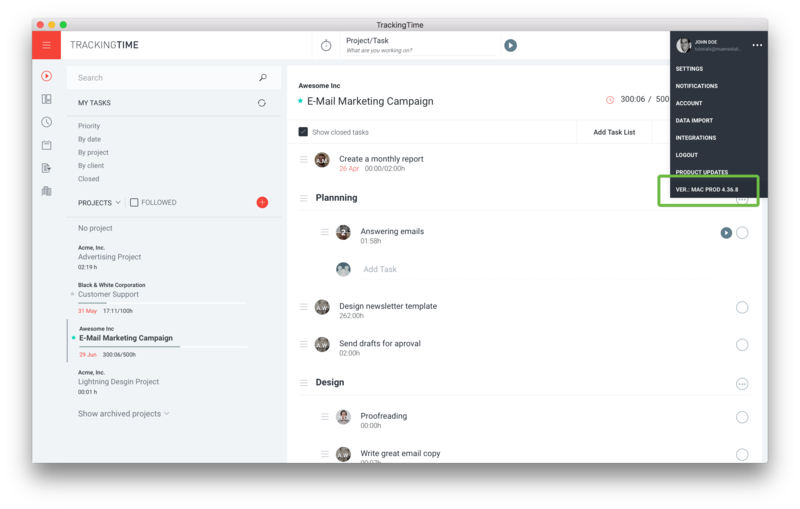 The TrackingTime web, chrome and mac apps are designed to be automatically updated when a new release is available. Sometimes, however, the update process is not automatically triggered. This is mostly due to a local cache issue with the user's browser. 1. Hover over the app menu button on the top right corner of the screen. 2. Click on the version label at the bottom of the list. 3. Wait a few seconds and log out. 4. Sign back in to your account. That should do it. However, in case the problem still persists, please try cleaning up the local cache of your browser. In Chrome, for instance, you need to go to Chrome > Clear Browsing Data... to do so. 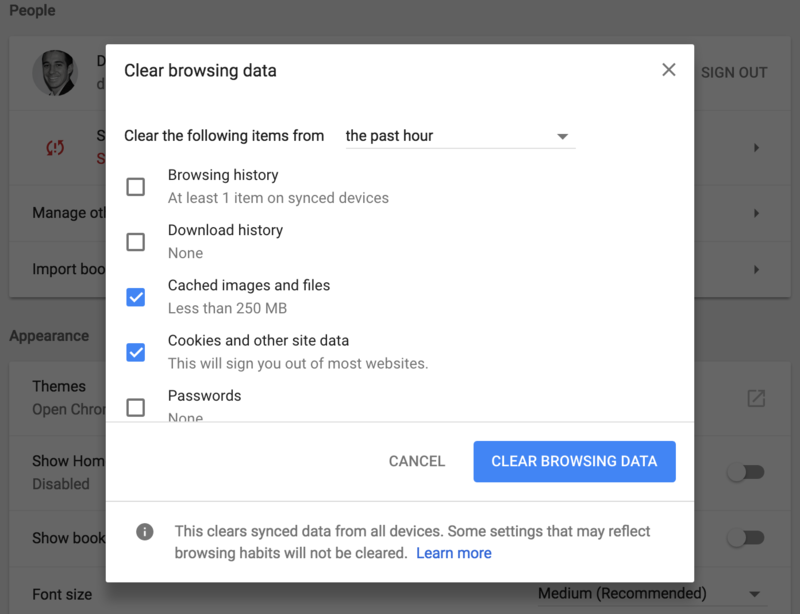 Make sure the option "Cookies and other site data" is selected before clearing your browsing data.